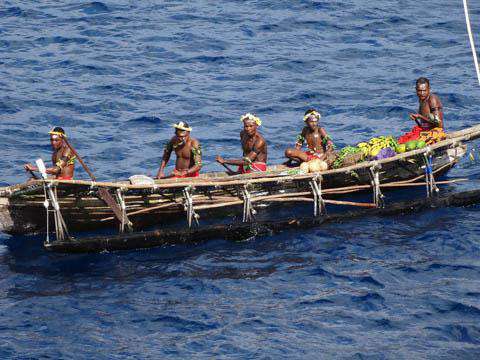 How much does it cost to travel to Papua New Guinea? How much money will you need in Papua New Guinea? PGK644 ($191) is the average daily price for traveling in Papua New Guinea. The average price of food for one day is PGK69 ($21). The average price of a hotel for a couple is PGK489 ($145). Additional pricing is in the table below. These average travel prices have been collected from other travelers to help you plan your own travel budget. How expensive is Papua New Guinea? An island nation of the Melanesia region of Oceana, Papua New Guinea is best known for its incredible natural beauty. The flora and fauna of the place thrive with color and life, while untouched coral reefs and WWII wrecks make for great diving destinations. While the cultural festivals and developed locations attract tourists, the more rugged opportunities for hiking, surfing, and scuba diving call to the adventurous explorers. Papua New Guinea can be divided into 9 different regions. Southern Papua New Guinea is home to the nation's capital city of Port Moresby which has Zoological gardens, the Parliament building, and general Melanesian atmosphere. In this region you can also find the historic 60-mile Kokoda Trail which can take about 5 days to hike. Madang-Morobe is another of the nation's regions with great opportunities for diving and seeing the flights of bats in the evening. The Highlands region is made up of many fertile valleys and mountains dotted with tribal cultures, while Southwestern Papua New Guinea lies just to the south of this with its main city being Daru on the Gulf of Papua. Sepik is another region, where Vanimo serves as a great surfing location and gateway to Indonesia, and Wewak further east has some unique culture and marks the mouth of the Sepik River. Mine Bay makes up a more remote province of Papua New Guinea's southeastern tip with vibrant reefs and villages just as beautiful, while New Britain, New Ireland and Manus, and Bougainville make up the rest of the islands with many opportunities to dive for reefs, marine life, and WWII wrecks. All around, the waters surrounding Papua New Guinea are ideal for diving. The aquatic life is thriving nearly everywhere with countless reefs blooming with life and color. Also, due to the nation's history, WWII wrecks are just as abundant now serving as underwater homes for the ocean critters. Surfing is a common activity, especially at Vanimo along the northern coast, as is trekking amongst the mountain trails and the historic Kokoda Track. With over 700 species of birds, birdwatching is another well-enjoyed activity, with many birds of paradise inhabiting the area, and there are also many festivals and cultural performances to be seen throughout Papua New Guinea. "Flight-seeing," by airplane, is also a great way to experience the scenery from above. Kokoda Trail: a 60-mile trail beginning in the Port Moresby area up into the Owen Stanley Range, passing through many streams and mountain ridges. Historically it was frequented by gold miners in the 1890s, and later gained significance during WWII when the Japanese tried to reach the port by way of the trail. Mount Wilhelm: The highest mountain in Papua New Guinea, Mount Wilhelm can be climbed to the peak for views of both the north and south coasts of the island. The Wahgi River, also in this area, is considered one of the best whitewater rafting destinations in the world. Madang: Home to a thriving community renowned for its traditional artists, and surrounded by world class diving opportunities. Underwater sights include coral reefs and colorful fish, as well as wrecks of Japanese fighter planes with weapons and cargo intact. Nearby Madang, there are also active volcanoes that are popular with trekkers. New Britain: All around, a place with many things to do and see. There are great spots for swimming and snorkeling, many trails for scenic hikes through the rainforest, and hot thermal springs and bubbling mud holes to enjoy. The culture on the island is also something to see, the Baining people renowned for creating beautiful performances like their ceremonial fire dance. Another amazing activity is to head to the tribal areas of PNG or to West Papua (part of Indonesia). Consider visiting one of these areas, such as the Dani Tribe in West Papua. Chicken pot: chicken that has been simmered with mixed vegetables and coconut cream. Mumu: Pork is roasted in a traditional earth oven and is served with sweet potatoes, rice, and vegetables. Kokoda Fish: Fish that has been cooked with a lime-coconut sauce. Sago: The substance gathered from a sago palm is the starch used for making bread and puddings. Dia: Sago and bananas cooked with coconut cream.